China is the fastest-growing country and has become the second largest economy in the world. It has unique history and culture and has the largest population in the world. One out of every five people in the world speaks Mandarin Chinese. Learning Mandarin and understanding Chinese culture and economic development will help students succeed in the global economy. Saint Mary’s College has an affiliation with the Council on International Educational Exchange(CIEE) and offers semester programs at the CIEE centers on the campuses of the East China Normal University in Shanghai and the Nanjing University in Nanjing. Students attend classes taught by the CIEE faculty and local university professors designed for the CIEE students. All the programs are customized to the needs of American students, including community services and internships opportunities. Rich extracurricular classes are also offered, including Chinese Martial Arts, Mahjong (a popular Chinese game), Chinese instrument, Chinese cooking class and Calligraphy. All the programs offer a one-week trip in China and some weekend trips close to the city. 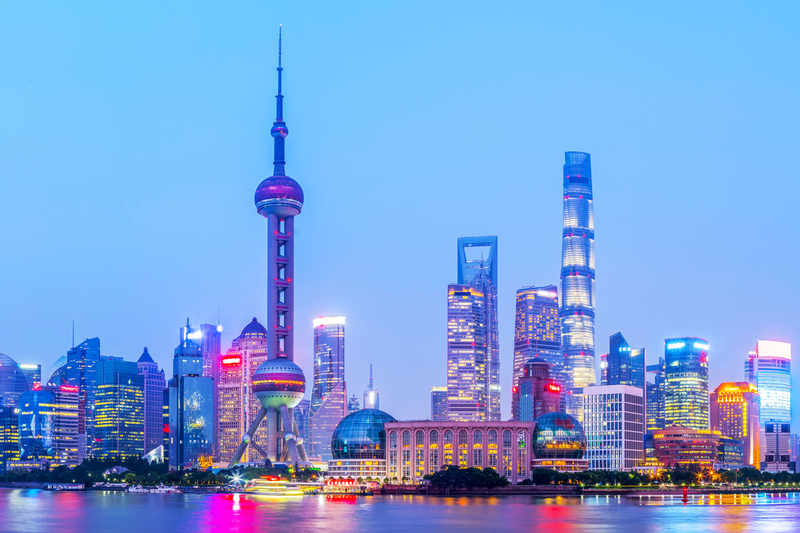 Shanghai has become Asia’s most exciting business and cultural center. Students can take business courses and many others courses (in English) to understand China in a global context. Nanjing is only 1.5 hours away from Shanghai. It was China’s ancient capital and is rich in scenic and historic sights. Students can take Chinese and culture courses at the CIEE Nanjing Center. Students should make use of the rich academic resources on the campuses and professional resources in the cities. All the students at the Shanghai Center are required to take a Mandarin Chinese language course (6 credits) and will be placed in the appropriate level. Other courses include choosing three electives (in English). The total credits will be 15 credits. Students at the Nanjing Center will take three courses: Readings in Chinese (6 credits), Spoken Chinese (6 credits), and Contemporary Chinese Studies (in both Chinese and English, 3 credits). The total credits will be 15 credits. All the CIEE credits will be transferred directly to SMC. Students at the Shanghai Center live in the international student dorm at East China Normal University (ECNU) with other CIEE students or Chinese students. Students at the Nanjing Center live in a double room in the international student dorm with a Chinese roommate, who also serves as their CIEE peer tutor. Students who some Chinese language background may choose a homestay in Shanghai or Nanjing. Students will get assistance in visa application and will make their own flight reservation to Shanghai. Students pay the regular Saint Mary’s tuition, room and board and enjoy the same institutional financial aid package (if any). Students will receive monthly stipends for their food in China. All the program costs are covered except personal cost and souvenirs. The college will provide an international insurance for students. Students may apply for the CIEE scholarships and many other external federal scholarships also apply to study abroad programs in China, for example, Gilman Scholarship, Boren Awards, and Freeman-Asia Scholarship. The CIEE China in Global Context Program in Shanghai is open to students of all majors with any or no level of Chinese background. The Business program in Shanghai requires minimum of three semesters of college-level micro- or macroeconomics, accounting, finance, management, or marketing. The Nanjing Chinese language program is designed for students with two to six semesters of college-level Mandarin Chinese and an interest in Chinese studies. Students must have a 2.75 cumulative GPA to be eligible for this program. Students may choose to study in China for a semester or a full academic year. Students may also apply for the Shanghai Internship Semester Program offered by CAPA. Click HERE to learn more about the program.